Fratelli Toso was founded by six brothers, as a glass blowing furnace of small stature in 1854. At that time, they concentrated more on trivial things like pharmacy jars. That was the age when Murano glass industry had suffered greatly through the Napoleonic war and the fall of the Venetian republic. So it was a time the industry was in the process of recuperation. Many traditional Murano glass techniques were lost during this period. It was Abbot Vencenzo Zanetti who had helped the brothers to re-invent some of the old techniques of the island. So Fratelli Toso began their 150+ years of glass blowing journey in style, by producing a magnificent chandelier for the Museo del Vetro of Murano. Thereafter, the company announced their indelible presence in the scenario, by taking part in all the prestigious glass exhibitions and shows. The generations of Tosos followed the footsteps of their ancestors and kept the family business extremely active. In spite of many conflicts and separations after the death of the founding members, the Fratelly Toso products still occupy an important position in the art glass market. In 1901 Antica Vetreria Fratelli Toso was established and it is now run by Arnoldo Toso. 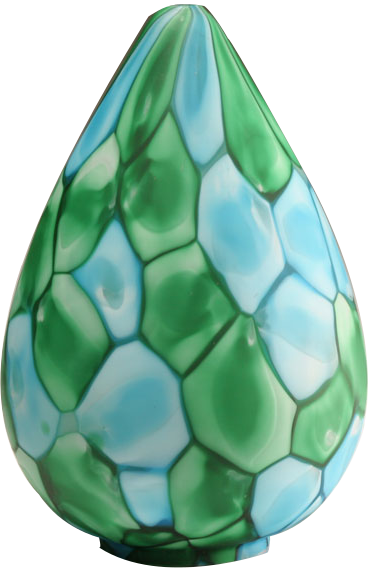 The company owns an impressive collection of exquisite Murano glass art pieces. These magnificent items are created by the most experienced Murano artisans who possess wonderful artistically-bent temperaments. 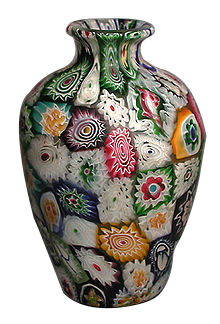 Murrine millefiori is an ancient Murano glass techniq ue which was revived by Fratelli Toso family. The company collection always consisted mainly of Murrine articles. 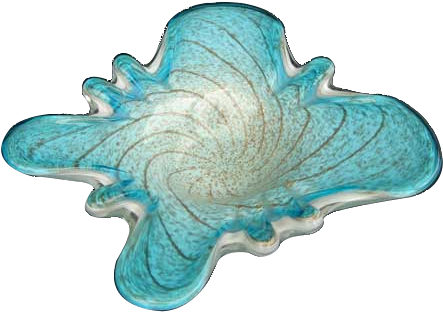 But through the long years of glass blowing experience, they have evolved several innovative designs in the technique. 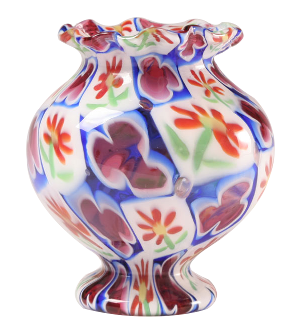 The incredibly complex and beautiful Murrine designs are the specialty of Antica Vetreria Fratelli Toso. With each generation, novel designs were added to the original collections. The present Antica Vetreria Fratelli Toso is controlled by the fourth generation Tosos who are highly resourceful and imaginative. The latest reinterpretation of the ancient technique by Rosanna, Giusto and Renato Toso are distinguished by their superior artistic quality and variety. 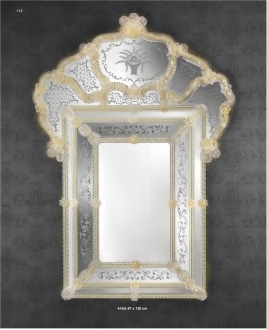 The Antica Vetreria Fratelli Toso articles display an unbelievably vast range of designs which are not repeated. 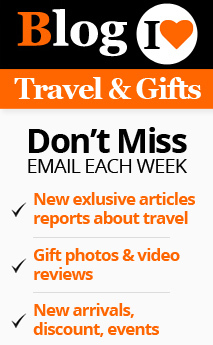 Each article is unique in itself. This makes the Fratelli Toso products the much sought after collectibles. The old Murrine technique using the cross sections of carefully designed and colored glass rods has been given a variety of forms by the Toso artisans. Murrina millefiori is the traditional technique, whereas ‘Kiku’ is a chrysanthemum like design and ‘Redentore’ resembles fireworks. ‘Millepunti’ displays multiple colored points. ‘Cattedrale’, which is a comparatively new addition, looks like cathedral stained windows. Murrine ‘Farfalla’ appears like brush strokes. ‘Spirale’ and ‘Stellati’ are stylish star-shaped designs. The company obliges museums, collector s and organizations dealing in Murano glass articles by custom-producing items exclusively for them. Fratelli Toso possesses their own permanent exhibition galleries where all the products are exhibited. They also arrange guided visits through the galleries. Besides this they often conduct periodic exhibitions at various centers to display their latest creations. 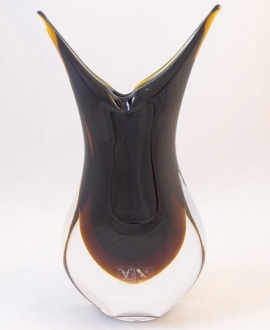 In short Antica Vetreria Fratelli Toso has become the ‘style guru’ of Murano glass industry. Height: 120 cm" Length: 87 cm"